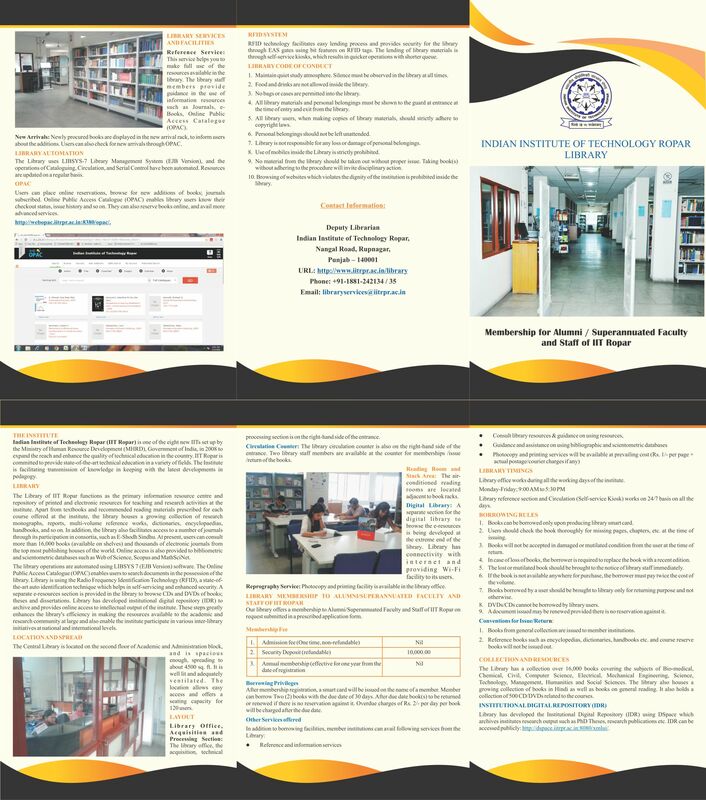 As a new initiative to reach out wider community, we are extending our Library membership to Academic Institutions/Government Departments/Industry/Corporates, which are in and around Ropar. 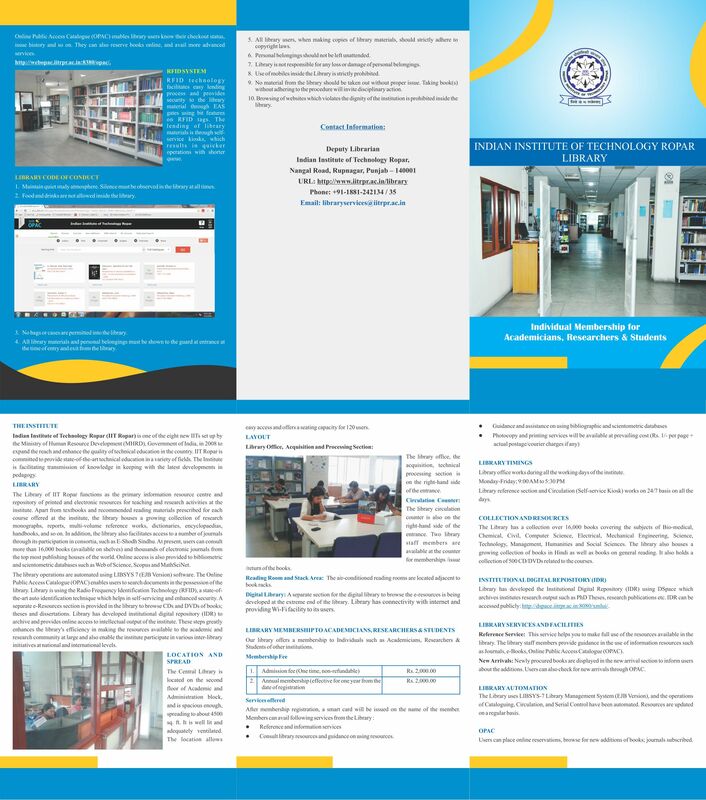 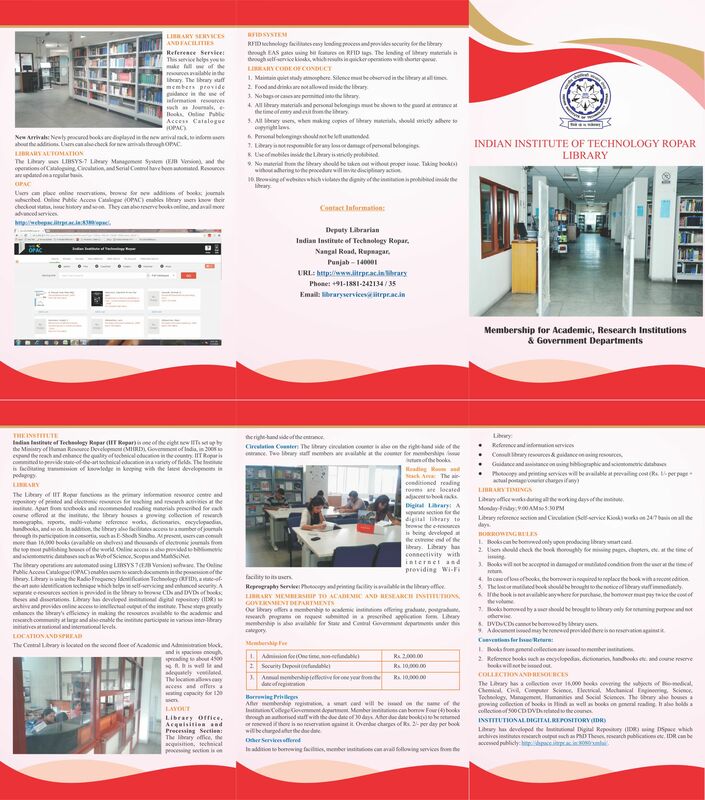 The individual Library membership is also open to Alumni’s of IIT Ropar, Superannuated Faculty and Staff of IIT Ropar. 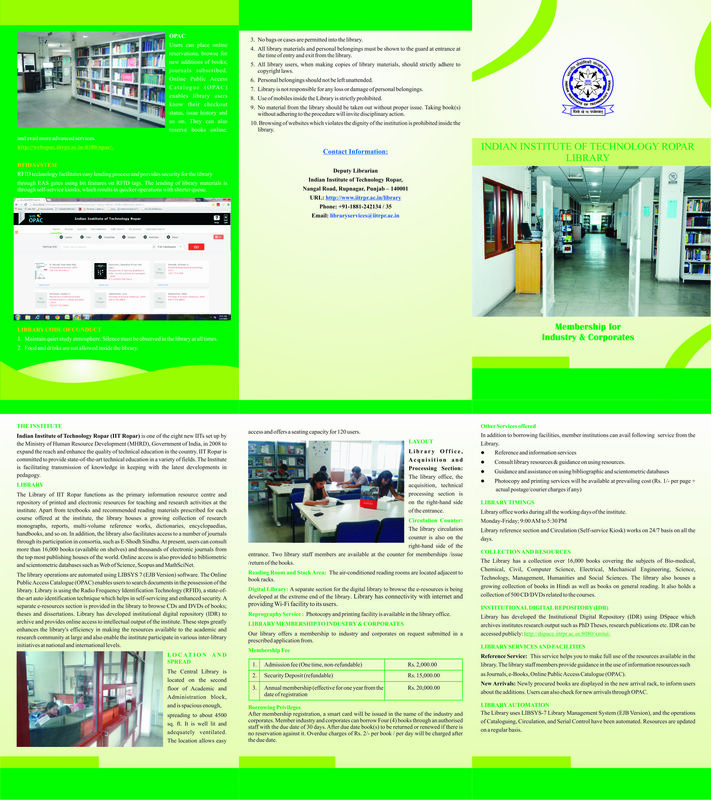 Individual external Library memberships for Academicians, Researchers & Students is also available.